This summer I have been conducting an experiment. Rather, I have been engaged in a personal project. I call it Twitter Book Club. Twitter Book Club is rather simple, it has one member--me. The goal of Twitter Book Club was three-fold: 1. To see if social construction can be simulated in a solitary activity; 2. to place into the Twitter stream voices of others who would not otherwise post their words in that space on their own; and 3. To provide personal motivation to read, or re-read through slow digestion of text, books that I had not read but feel I should have, books that I read a long time ago and feel a need to revisit, and books I read or were exposed to in graduate school but had not taken time for slow digestion. The day following each chapter I archive the tweeted quotes and their resulting conversations on my blog and add my own personal reflections and commentary. The result of this project has been profound for me. Nearly every night when I sit down to read I end up engaged in conversations with others on the topics brought up in the book(s). These conversations sometimes continue on throughout the next day. I also have noticed a lot of related talk on other people's blogs and in the nature of the conversations among educators I have been following. I don't know if this is due to Twitter Book Club or if Twitter Book Club has placed me on alert to these topics and themes and thus I am more apt to find them. Either way it has benefited my own personal learning. I have also found that through the conversations I have had with others around these books I have brought upon myself an obligation to continue night after night. This obligation becomes a powerful motivation to keep reading and keep the Tweets coming. Additionally, the books I have read for Twitter Book Club have given me the words to express many things that I have long felt but lacked the language to articulate. This is especially true for issues related to the nature of learning, standards, accountability, equity, and oppression. The books which, I feel, have contributed the most to my clarification of thought on this matter are John Dewey's Experience & Education, Ivan Illich's Deschooling Society, Seymour Papert's The Children's Machine, and Paulo Freire's Pedagogy of the Oppressed. I Am An Art Teacher in Exile. Before I explain the thinking that these four authors helped me to clarify I believe it is important to briefly relate to you my own story. I began my teaching career in the year 2000 as an art teacher. Time and time again, despite repeatedly receiving high marks and awards for my performance I found myself in the position of looking for a new job. With one exception where I chose to leave to move closer to family every art position I ever held was eliminated. In the course of seven years I held five different art teacher positions in five different school districts. When I left these jobs I was the last to fill them and no one would be hired to take my place. I would take this personally were it not for other art teachers in these and neighboring districts also loosing their jobs or forced to work for reduced FTEs. Naturally, I began to wonder why this is happening when it seems the arts embody so many of our culturally shared values. No one will openly tell you that the arts are not important yet what is happening in our schools in this past decade seem to contradict this value. Especially difficult for me was the loss of an art teaching position at an alternative school serving "at-risk" students who did not find success in the traditional school system. When a student at a school is not finding that environment suits their educational needs schools will do what they can to place them in another setting. Often this ends up being alternative schools. Our school was special. It was small, only nine teachers and three educational assistants. We had a part-time principal but her time had to be split in such a way between her other jobs that she was not able to handle many of the daily operations of our school. She entrusted the day to day operations and decision making to the teachers. We grew to be a tightly-knit family of nontraditional educators. We shared a common workspace by choice and regarded instructional spaces in the school to be shared resources. We were responsive to the unique needs of the students we had and over the course of a year developed a program that tended to collect and keep the kinds of kids who typically get passed around the system. We found our work worthwhile and felt like were were making a real difference for the students we served. Our program grew fast and by the end of the year our superintendent told us he needed to bring on a full-time administrator to help us run the school. Within a year most of the authentic organizational structures our team had built were disassembled. Our shared spaces were subdivided and assigned to us as "our own" spaces, our common workspace was broken up and we were officed in our own classrooms. Bringing on this administrator meant that we had a projected budget deficit. We were told that we would have to further increase our enrollment or we would be forced to make cuts. Of course, those cuts would not involve the newly hired full-time principal, they would be program cuts. Additionally, we were all asked to make the case for how our programs added value and should be kept. Of course, this pitted us against each other and led our family into a state of dysfunction. The end result was that kids left. Some dropped out and others transferred schools. In fact, our enrollment dropped so drastically that nearly half the staff was forced to be let go in the end, including myself. So, having been burned so many times trying to support my family as an art teacher I decided to make a career change. Now, as an art teacher in exile, I serve schools a technology integration specialist. In that role I have witnessed both the loss of fine arts FTEs in schools continue and the continued passing around of the children left behind by our current education system. Why is that? 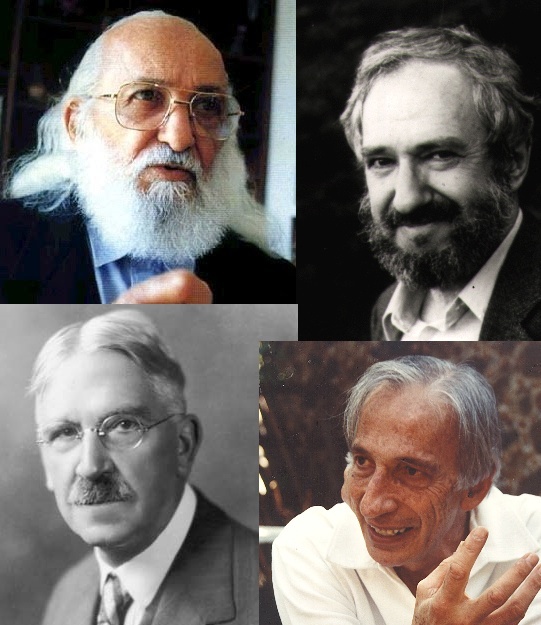 The answer to that question is what Freire, Illich, Dewey, and Papert clarified for me. Dewey wrote this statement in 1938 (or at least it was published in that year). In that time the world was well into the Great Depression and as far as general insecurity goes, the general public likely looked a lot like the general public today. Dewey characterizes traditional education, of which standards, subject matter, and textbook curriculum are all paraphernalia, as an education of the past. In changing times, in times of instability and insecurity, it is natural for many people to want to hold on to the past and a good way to do that is with scripted standardized curriculum. This is exactly what is happening in education today. By denying the value in subjectivity and placing all value on what are perceived as objectively defined standards and assessments we have objectified the subjects we teach. We are living in a time of heightened accountability. The world is changing and people want to know who to hold accountable when things fail. 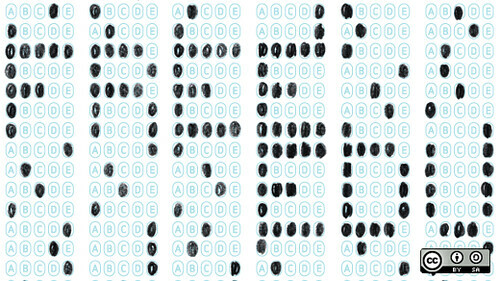 This is easier done objectively than subjectively so when we need to know if our kids are learning what they should be learning in school we give them standardized tests to objectively measure their progress. Of course this is easier to do for subjects like math, science, and reading than it is for the fine arts, social studies, or anything else that requires subjective reasoning. A Scantron machine cannot tell you if your painting is good or how beautifully you played a melody. When students fail to meet adequate yearly progress on these objectively measured assessments schools prescriptively move resources to those areas that are being measured. An addition in one place requires a subtraction in another. Therefore, the subjects that offer subjective value are cut. In an attempt to justify their existence and fit them within the framework of standardized curriculum all school subjects are necessarily objectified. This objectification kills the subject, a point Seymour Papert (1993) addresses, "The learning of a dead subject requires a technical act of carving the knowledge into teachable bites so that they can be fed to the students one at a time by a teacher, and this leads straight into the traditional paraphernalia of curriculum, hierarchy, and control." The standards movement also narrows the curriculum immensely and in its comprehensive inclusion of benchmarks that need to be taught eliminates an infinite number of types of learning to occur or subjects to be examined. The objectification of subjects into standards to be assessed objectively leads to a reinforcement of what Dewey calls "Traditional Education" and pedagogy which Freire calls the "banking method." This banking method of traditional education requires a teacher to be prescriptive in their methods which Freire categorizes as one of the basic elements of an oppressive relationship and one which pacifies the students and hinders their creative and critical capacity. By eliminating subjectivity from our assessment of student and teacher performance on standardized assessments we thus objectify the people we measure. I believe this is what lies at the heart of the teacher accountability debate. It is where John Merrow and Grant Wiggins get it wrong on this post and why the LA Times article listing "ineffective" teachers based solely on objective measures is wrong. According to Freire this kind of action constitutes an objectification of teachers and their students. He also says that objectification is an act of oppression and violence. As I read Paulo Freire I can't help but put his words in the context of the current debate regarding standards, P21, and teacher accountability. It seems as though P21 folks and curriculum standards folks are pitted against each other in this debate in a polarizing way. If the standards movement and high stakes testing represent the pedagogical strong arm of the dominant class then the P21 movement is a counter movement that threatens the cultural heritage embedded in the standards-based structure. 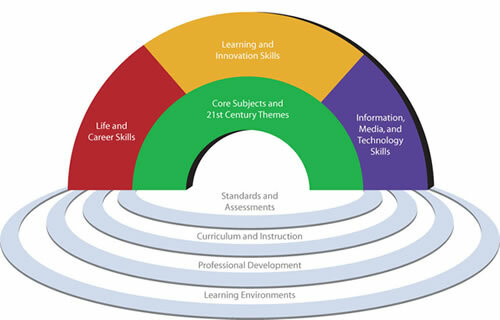 However, P21 looks as though it has set itself up to be equally oppressive, it has all the trappings of the standards movement including a "core curriculum," strictly segmented subject areas, predefined skills, etc. This is a profound thought for me and a key point for Freire's book. That the oppressed are simultaneously oppressed and their own oppressors is a fascinating concept and, I think, a difficult realization for many. The truth is we have internalized this struggle between subjective values and objective assessment. It is why many arts advocates fail in their efforts to save programs from being dissolved and their funding reallocated. In this case we are our own worst enemies. Our own fear of liberation prevents us from renouncing this internal oppressor. So, under this oppressive system we are forced to live with a decrease in the capacity for inquiry and the elimination of subjectively measured subjects, subjects which best help students develop critical thinking skills and creative capacity. Subjective assessment involves critique. It is in the areas of study that require personal and group critique in their assessment where the ability to think critically is developed. To critique a painting, a piece of music, a dance, or poem requires one to observe, analyze, interpret, and evaluate in ways that require higher order thinking. A math equation requires these steps too but only in an objective capacity. The type of knowledge our standardized tests measure in this capacity is rather shallow. It is only in the study of subjectively measured learning that this capacity can be deepened. "they react instinctively against any experiment in education which stimulates the critical faculties"
"dialogue cannot exist unless the dialoguers engage in critical thinking"
"Without dialogue there is no communication, & without communication there can be no true education." "In their political activity, the dominant elites utilize the banking concept to encourage passivity in the oppressed, corresponding with the latter's 'submerged' state of consciousness, & take advantage of that passivity to 'fill' that consciousness with slogans which create even more fear of freedom." Through extended loss and reduction of the fine arts from our schools we are alienating not only those subjects but the people who most closely value them. If we continue to allow the arts to be repressed in the name of standards and accountability over time their history and tradition will be lost. I know for a fact that many of the students at the alternative school I worked at stayed with us and stayed in school because of my art program. I know many of these students were deemed undesirable by the system. Yet, though they may not perform well on a standardized test they were particularly gifted at drawing, painting, sculpture, poetry, creative writing, dance, music, etc. When my position was eliminated from our school these were the first kids to go. I still hear about many of my former students who left our school when we were divided and crushed. Many of them dropped back out of school. Every once in a while I see in the paper that one of them has been arrested or has been sentenced to time in prison. I worry about the ones most who I have not heard from or about. Did they find another school? How many more times did they get passed around the system? So much for leaving no child behind. Carl Anderson is an art and technology teacher, technology integration specialist, and adjunct instructor for Hamline University's School of Education. He writes the Techno Constructivist blog and is @anderscj on Twitter.